British boxing rivalry, well, all boxing has some rivalry in it sometimes and sometimes it can get quite intense and it’s genuine. Nigel Benn and Chris Eubank both fought at middleweight and super middleweight around the same time from 1985 -1997 and they become rivals on both the domestic and world boxing scene. Benn won his first 22 consecutive fights by knock-out earning that famous nickname “the Dark Destroyer”. Eubank was cocky and flamboyant and after his tenth fight began calling Benn out. The rivalry grew with both men swearing they would knock the other man out and the British public began to demand the fight to be made. Nigel Benn’s entourage began plotting ways to demoralise Eubank and “even things up” so they decided to sabotage his entrance music. As Chris made his strutting ring walk to the thumping tune of Tina Turner’s “Simply The Best” the tune suddenly stopped but Eubank ignored this and impassively made his way to the ring apron and vaulted over the ropes as normal. Eubank ran out sideways before turning and striking Benn with a right cross clearly hoping for a surprise (and somewhat unorthodox) knockout. Ben stalked his challenger at furious pace and the opening rounds are remembered for their lack of jabs and range finding punches. Every punch was thrown with such evil intent and the commentator Dave Brennar called the fight “Grand Prix stuff so far”. In the fourth round Eubank took a ferocious right uppercut to the chin when breaking from a clinch, the blow caused him to bite his tongue, leaving a severe gash which led to copious amounts of blood being swallowed. Eubank hid this evidence from his corner afraid of the doctor stopping the fight. Even the commentators were getting carried away with the fight, Jim McDonnell exclaimed “Jesus, look at that right hand”. Benn’s eye was swollen shut by the fifth round and in the sixth Eubank began throwing shots at Benn who was covering up on the ropes. Benn caught Eubank with a low blow and with no points deducted used his advantage by pounding Eubank’s body. Chris fought back in the seventh and with the scores fairly even the fighters began again in the eighth round. Benn was more wary now and sought to catch Eubank with flashing overhand shots followed by short hooks. Eubank was trapped in the corner when an overhand right caught him on top of the head and down he went. He got up quickly claiming it was a slip but took the eight count regardless from the referee Richard Steele. Eubank finished the round strongly and posed and preened between the rounds. The ninth was an even round until Eubank missed with a right and Benn caught him with a left hook which landed on the unbalanced Eubank’s rear sending him down. Standing up, Eubank circled Benn before releasing a left right combination and a lefy hook that staggered Benn. Ireland’s Barry McGuigan was commentating and said “this is it, it’s the end” but Benn survived the flurry and clinched but a straight right from Eubank sent him into the corner. Referee Richard Steele stepped in to end the flurry with five seconds left of round nine, ending what he called “the most dramatic fight I’ve ever refereed”. The fight is still considered a classic to this day. On the 9th October 1993 over 42,000 crammed into Old Trafford one of the biggest boxing events ever staged at that time. The fight was watched by half a billion people worldwide and Don King’s contract stipulated that not only would the winner join his stable of fighters but also the loser. This time Eubank’s ring walk went off without a hitch and commentator Reg Gutteridge making the classic call when Eubank performed his customary vault over the ropes into the ring, claiming “the ego has landed”. Reg was old school and knew his stuff, he wasn’t wrong here. The fight itself didn’t quite reach the brutal heights of the first one as neither man was as badly hurt. However, there were flurries of punches at the ends of rounds, with both boxers trying to claim the rounds knowing that there was more chance of the fight lasting the distance as the bout progressed. One such exchange saw Benn in a corner knocked through the ropes, though Eubank used his body as well and Benn was not badly hurt. The final round was thrilling with both boxers told they needed to win. Most boxing experts agree that this was a truly classic round with Gutteridge referring to the two “magnificent warriors” at its climax. The final scores were 115-113 Eubank, 114-113 Benn and 114-114. The fight was declared a draw, Benn retained his WBC belt and Eubank his WBC Championship. Because Don King hadn’t written the event of a draw into the contract and as a result, neither fighter was contractually bound to join him. The pair never fought again despite a £6 million bout at Wembley stadium being touted for Eubank’s eight fight deal with Sky. Benn faced Gerald McClellan pound for pound one of the most devastating fighters of the 90’s, and his career paralleled Eubank’s when McClellan was paralysed as a result of this bout. Benn was finished mentally and almost physically after this violent war and lost first his title then twice more to Steve Collins who magnanimously claimed afterwards that Benn was the greatest British boxer ever and wished he could have fought him at his prime. Eubank also lost his title and unbeaten record also to Collins by a split decision. He retired but came out of retirement to face a young and upcoming star by the name of Joe Calzaghe who beat him on points. He fought for the WBO Cruiserweight Title but lost on another split decision to Carl Thompson. In the rematch Eubank was ahead on points but the doctor stopped the fight because of Eubank’s swollen eye. This time he retired for good. Therefore, the two legends of boxing finished their careers, the highs and lows still vivid and both defined the other’s career. Respected publication Boxing News contained a large feature on the rivalry and an in depth look at the occasions and fights. The sub headline which summed up the rivalry perfectly read, “Glynn Evans, on a magical time when two of Britain’s opposites went to war in the ring and transfixed a nation”. The article begins, “There can be few individual pairings across any sport to eclipse the rivalry Nigel Benn and Chris Eubank shared in the first half of the 1990’s”, and it goes on to label the fights between the pair as “titanic clashes”. 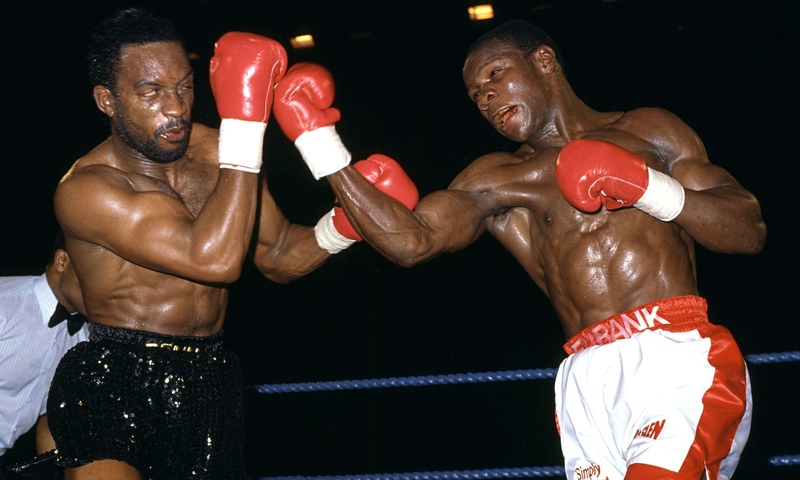 On the ITV documentary ‘Best Ever Big Fight Live’, former world champion Duke McKenzie said of the Benn–Eubank rivalry: “It may never be rivalled”. Barry McGuigan agreed, saying; “There was real antipathy and ill-will there. But what fights, what fights.” The legacy of the feud was summed up with the first fight being shown and given the moniker; “A war to end all wars”. Britain and boxing will never see another rivalry like it.